Shooting in the conflict zone reduced by 60% in the first days of the "school truce"
The situation in the occupied Donetsk after the assassination of the leader of the militants Aleksandr Zakharchenko remains calm, and along the line of contact, it has even improved. The Principal Deputy Chief Monitor of the OSCE Special Monitoring Mission to Ukraine Alexander Hug made a corresponding statement during a briefing at the Ukrainian Crisis Media Cenrte, the QHA correspondent reports. Hug reminded that as a result of the explosion that occurred in the center of Donetsk last Friday Aleksandr Zakharchenko and one more person were killed, and at least 9 people were injured. 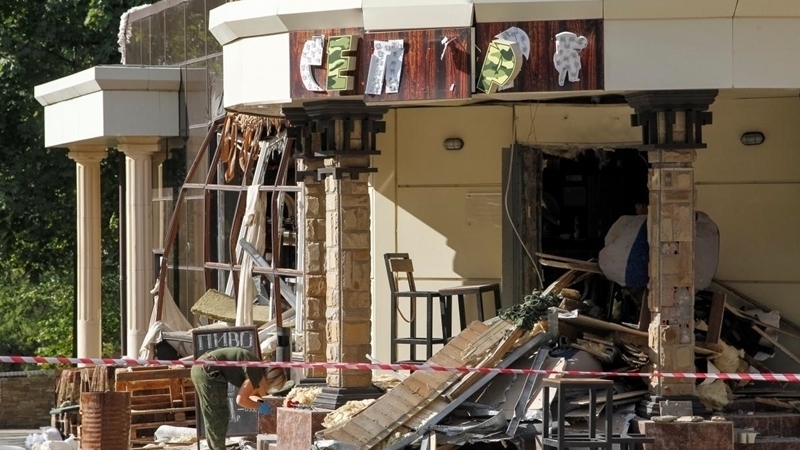 The explosion (in the cafe "Separ") occurred only 200 meters from the Donetsk office of the Mission. The SMM also noted that after the incident, block-posts of armed groups near Horlovka, Oleksandrivka, Olenivka and Verhnioshyrokivske were temporarily closed in the uncontrolled districts of the Donetsk region. They resumed their work in the afternoon of September 1. Speaking about the situation in the conflict zone on Donbas, Alexander Hug noted that after the entry into force of the "school ceasefire" since September 29, it has improved - the number of violations of the ceasefire has decreased by 60%. The greatest number of violations was recorded in areas northeast of Mariupol, in the Avdeiivka-Yasinovataya-DAP triangle and in the Svitlodarsk arc district. Last week, SMM also confirmed two victims among the civilian population - in the occupied Dokuchayevsk and in Verkhnetoretsk. In addition, the Mission recorded three major fires close to the line of contact. Earlier, it was reported that Donetsk militants prohibited doctors from providing OSCE observers with information about the dead and wounded as a result of the explosion, from which Zakharchenko died on August 31.